This year's edition of the Toronto Jazz Festival eagerly billed Joss Stone thusly: "Before Adele, before Jessie J, before Amy, before Florence, there was Joss." There's truth in this: the UK soul singer is a curious case of "She got next!" turned into "So, who's next?" For a prodigious artist signed at 14 years of age to a major, with a well-received debut with 2003's The Soul Sessions, a photogenic look and smoky sound that got her dubbed "Aretha Joplin" by Motown legend Smokey Robinson no less, Stone's career trajectory hasn't quite gone as anticipated. But Stone has endured — she's sold more than 12 million albums worldwide — and has carved out a respectable career that's leveraged her love of soul, R&B and reggae sounds into a tenable body of work. 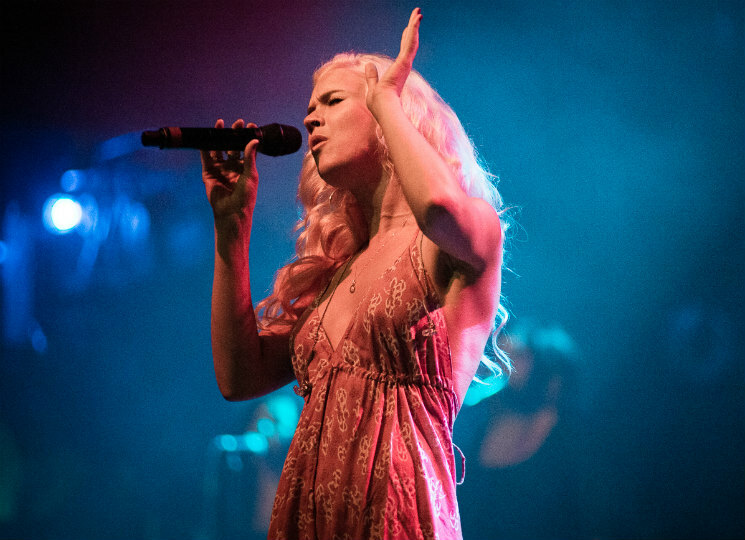 On this night, in front of an eight-piece backing band, Stone showed the crowd the charisma and vocal ability that have gotten her this far, keeping things sprightly and flip while weaving in and out of her discography. Dropping tracks like "Newborn," "Big Ol' Game" "Cut the Line" "Jet Lag" and "nailed it" jazz covers of Burt Bacharach's "The Look of Love" and Bettye Swann's "Then You Can Tell Me," Stone carried herself like a star, because she is one. She was cool about hitting us with a pitch-perfect "Tell Me What We're Gonna Do Now" before dipping into the reggae vibes of 2015's Water For Your Soul, numbers like the breezy "Stuck on Love" and ode to the smoke "Harry's Symphony" — "I understand you like to smoke my shisha, my shisha," she sang — to keep things on the well-paced side of things over the course of an over 70-minute set. "If you do anything in this life and you don't mean it, you should go home," she told us during her set. Stone, for one, is still out here on the road, still rolling on.